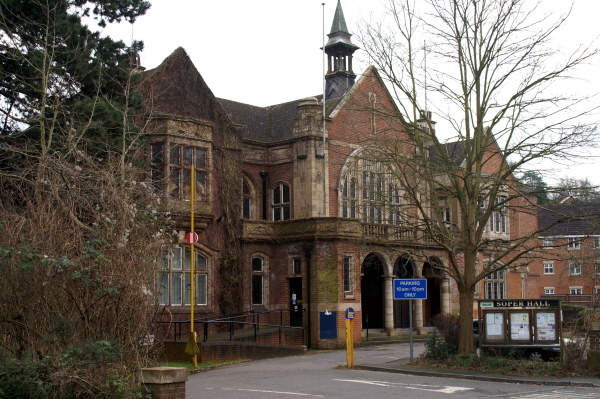 The first station and the railway hotel were opened in 1856; the current building dates from 1900. 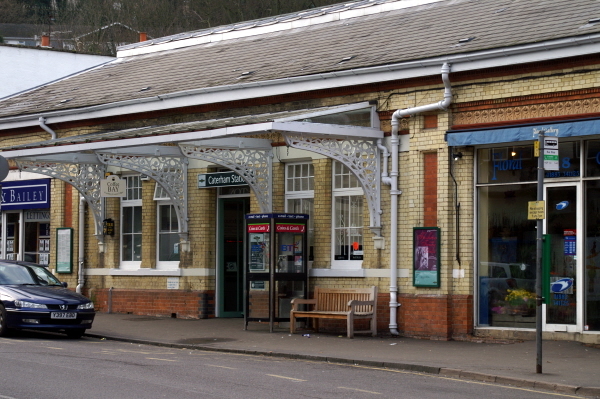 The station is the terminus of a branch line from Purley, with services to Victoria and London Bridge. 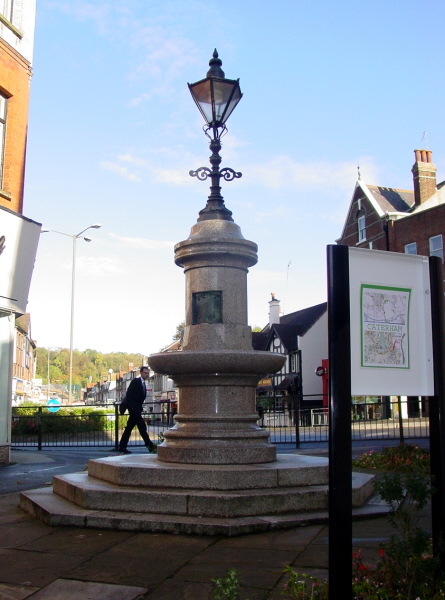 Charles Asprey, the well-known London jeweller, donated the Fountain to the people of Caterham in 1890. 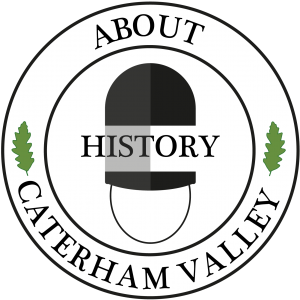 It was Caterham’s first street light. 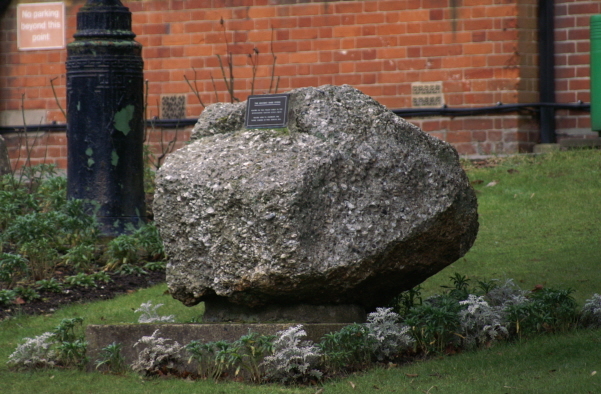 It was moved to its current position in 1997. 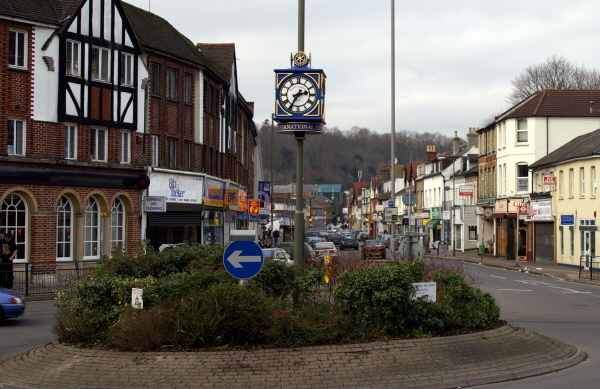 The clock is the newest addition to Caterham town centre, being installed by local rotary clubs as a gift to the people of Caterham to celebrate their centenary.